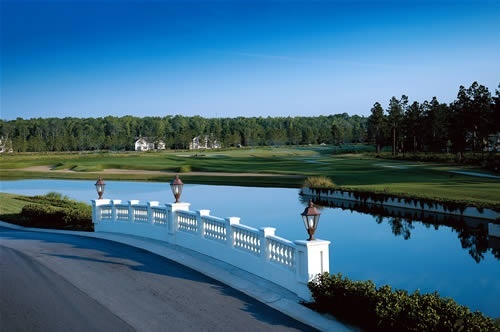 Hampton Hall, South Carolina, offers an unparalleled class of social, recreational, and dining facilities that have set new standards for several private country club communities in the region. Hampton Hall is situated right in the midst of southern Beaufort County, which is just a stone’s throw from Hilton Head Island, Savannah, and Beaufort. At Hampton Hall the Word is "Choice"
A number of private communities have sprung up on the southern Beaufort County Mainland, but the one word that distinguishes Hampton Hall from the others is “choice”. The community has been designed with an aim to provide a variety of recreational choices that match with the specific preferences of each resident. A wide range of home designs and sites and unique and thoughtful amenity packages give the homebuyers excellent choices to suit their taste. The residents of Hampton Hall are not only privileged to have an amazing number of residential and lifestyle choices, but they also have the flexibility to select from any of the innovative plans that let them make choices according to their desired expense levels and extent of involvement in Hampton Hall club activities. One of the highlights of the community is its private links-style golf course that was created by the world-renowned golf architect Pete Dye. The course offers a grand combination of a breath-taking natural setting and golfing challenges that are suited to every skill level. Community living is the heart and soul of life at Hampton Hall. The community’s central focus is a wonderful Tuscan-style village that facilitates residents to recharge their energies and relax at the Golf Clubhouse. The village also boasts of a multi-million dollar Health and Fitness Club, an indoor lap pool, a stunningly beautiful swimming pool, and top notch courts for tennis, basketball and old world bocce, among other things. One of the swankiest offerings at the village is its new Community Clubhouse that offers ample space for meetings, gatherings and events, apart from some very interesting dining options. Choices of residences at Hampton Hall are numerous. You can choose among stylish Carolina Homes, designer Estate Homes, and lock-and-leave Carriage Homes. You can build your own home from scratch and also choose from a broad range of views to satisfy your proclivities and end up in the home you have always wanted. If you have questions about specific properties or real estate in general, contact us. We're happy to help find your dream home or lot to build on.